SOLD! 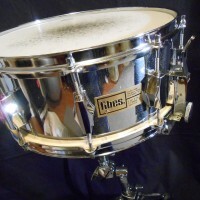 Buddy Rich’s 1970’s Fibes Chrome Over Fiberglass 5.5×14 Snare Drum, $14,995.00 SOLD! 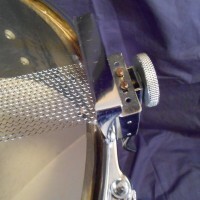 This 1970 Fibes SFT model chrome over fiberglass snare drum was owned and used by Buddy Rich. 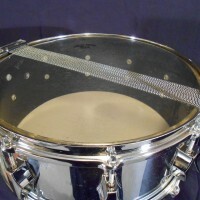 Buddy began his association with the Fibes drum company and the SFT snare in the mid-60s. 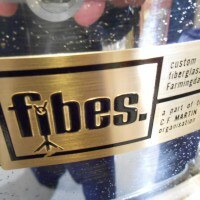 He endorsed the Fibes drum company for about a year between 1966 and 67 but continued to use this model Fibes snare for most of his life, even though he changed endorsements many times. This drum was was given to Buddy’s good friend Lennie Dimuzio at The Basin Street east Jazz Club in New York City during the 1970s. Buddy was endorsing Rogers drums at the time. Dimuzio brought Ben Strauss, product manger from the Rogers Drum Company to see Buddy play. 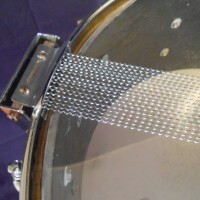 When they arrived, Strauss was upset to see this Fibes snare set up on stage behind Buddy’s Rogers set. He insisted Buddy play a Rogers snare and told Dimuzio to “take that snare and get it out of here”. 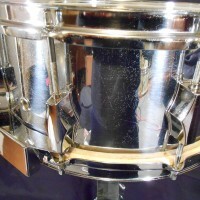 Dimuzio kept the drum until 2013. Includes COA signed by Lennie Dimuzio. 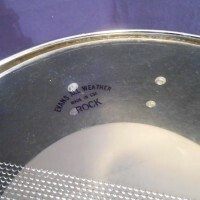 The drum is in excellent working condition. All heads and parts are exactly as they were received from Rich. 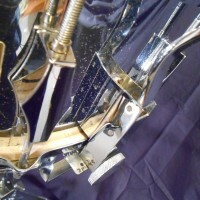 The chrome finish is lightly pitted. The photographs depict the condition accurately. SINGLE CLICK PHOTOS TO ENLARGE.